We all want to run campaigns that reach all of the target audience, drive the right outcomes and deliver great results. Building impactful marketing needs a magical mix of planning, execution, measurement and optimisation. In addition, industry trends like the shift to mobile has transformed the consumer journey and made it more complex. More than 40% of online adults sometimes start an activity on one device only to finish it on another. The customer journey today is thus no longer linear, making it very challenging for marketers to reach customers at the right time and right place to deliver impact. By 2020, over 75% of the world's mobile data traffic will be video. Current digital consumption behaviour is also very different from habits just a couple of years back. Digital Marketing provides reach, targeting and personalisation capabilities that have never existed before and thus, driving business impact with digital marketing is an extremely exciting topic to explore and discuss. Sakhee Dheer currently leads digital marketing for APAC Global Business Marketing at Facebook. In this role, Sakhee's focus is to educate, inform and excite Facebook's page owners and advertisers about using Facebook's family of apps meaningfully and effectively to reach their audience. Prior to this role, Sakhee was leading digital marketing and analytics at Microsoft APAC. She was instrumental in building Microsoft's first social media operations center in Singapore along with leading end to end marketing measurement, integrated campaign planning and marketing automation. 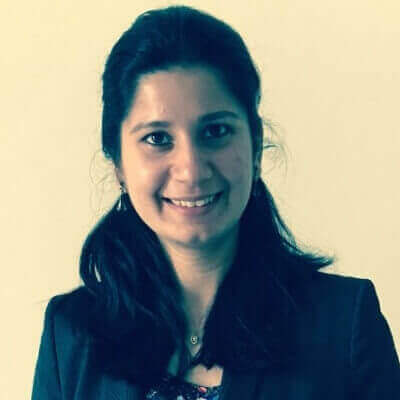 Sakhee has previously done roles in business operations and customer experience and believes a good business professional is the one with diverse experiences.